Send an aromatherapy or unscented care package to yourself or someone who needs a cheer up. 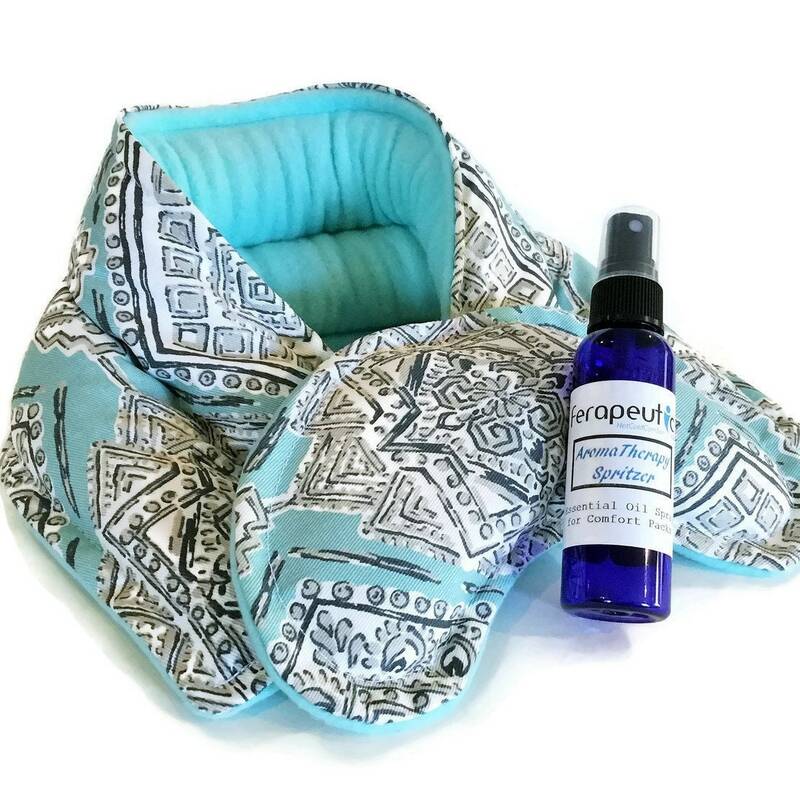 We offer this set unscented and you can choose the add on of an all natural essential oil spritzer to scent and moisten your pack. 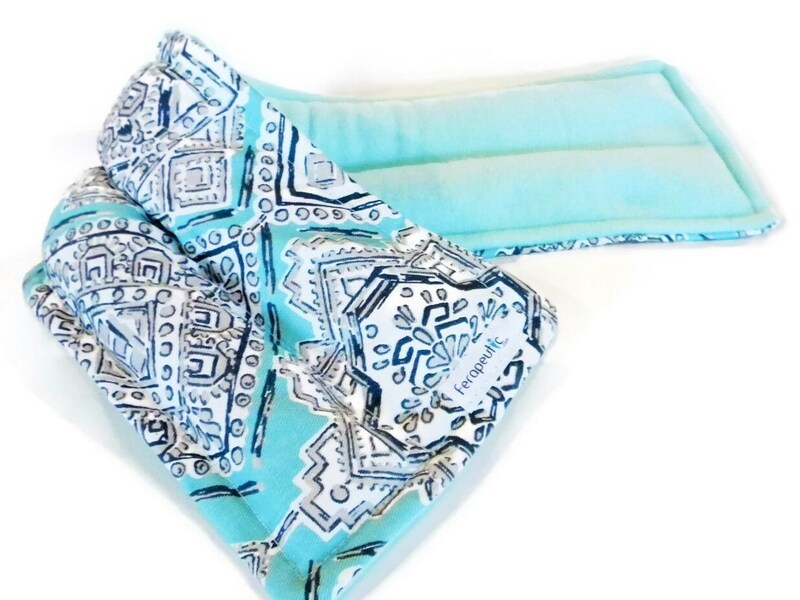 We took our very popular microwave heating pad for neck and added a coordinating eye pillow. 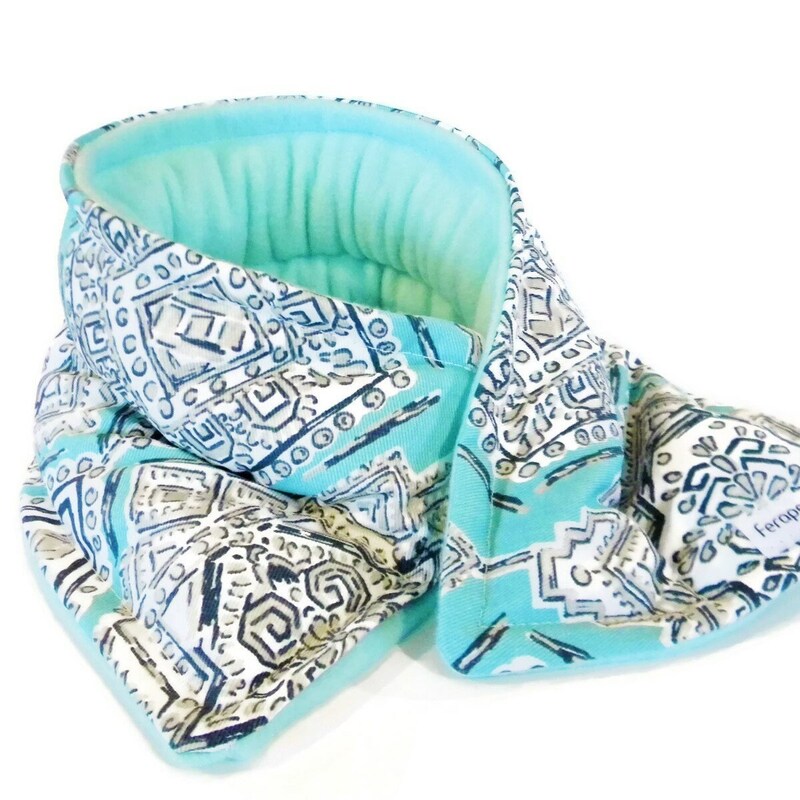 The universal size makes a terrific hot or cold neck wrap (microwave it or freeze it! ), but also works great for knees, elbow, hips, back, etc... 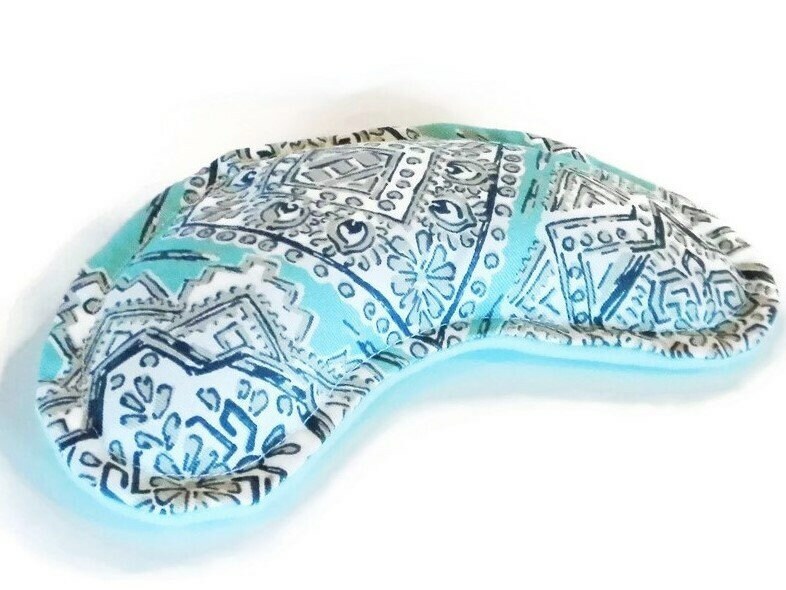 The sinus/eye pack is wonderful lightly warmed in the microwave or cooled in the freezer to rest on eyes. 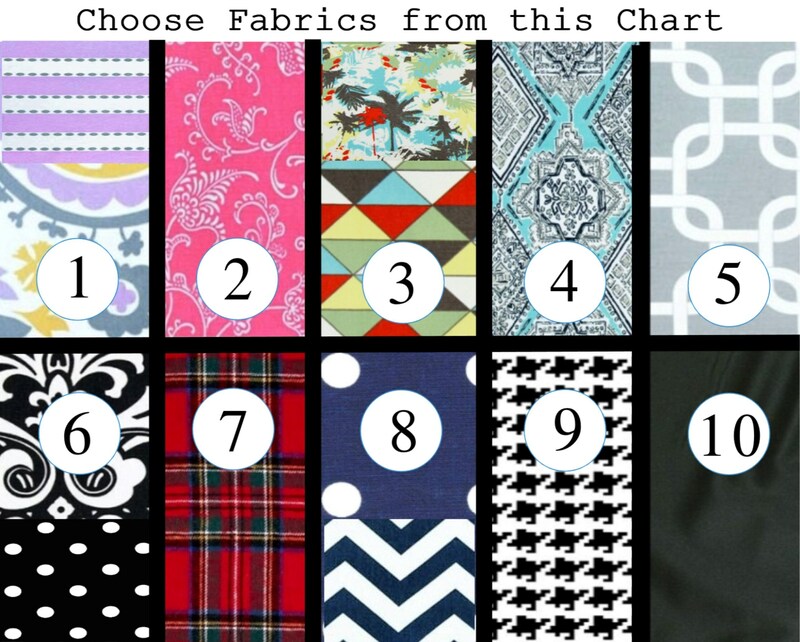 *** Please scroll photos to see color / fabric chart *** Eye pillow may be coordinating fabric depending on primary fabric selected. 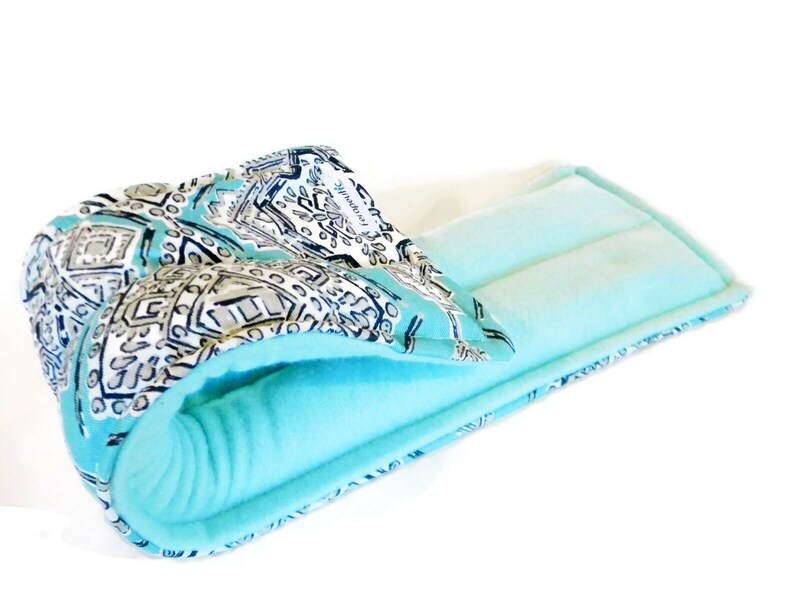 As for the details, the universal wrap measure approximately 20" x 5 ", has two chambers to keep the heat source evenly distributed and is backed with soft fleece. 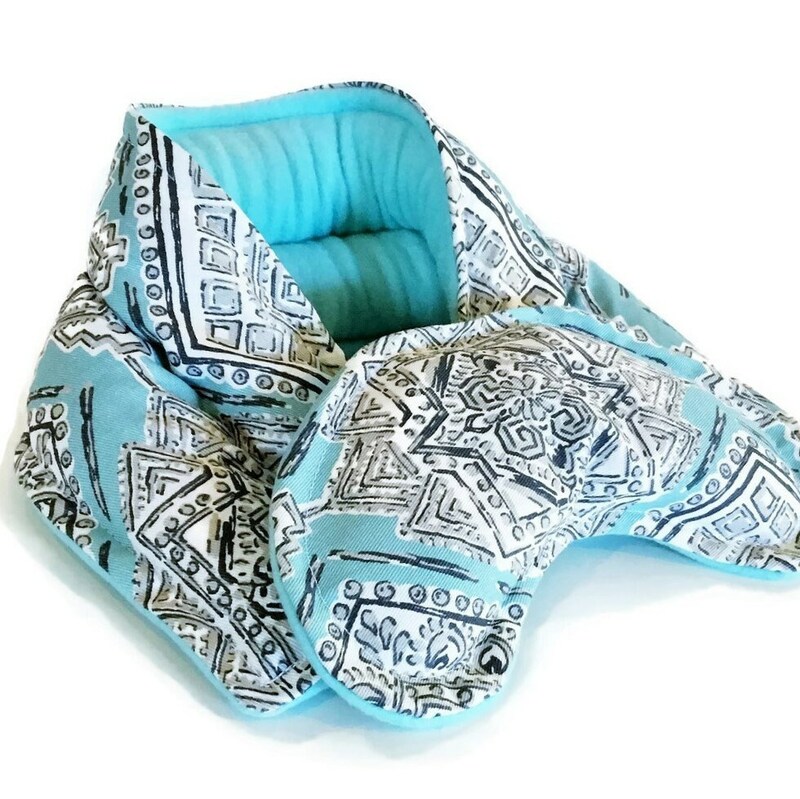 The eye pillow comes in at about 9" x 4". All of our microwave heating pads come professionally packaged in a cello bag and tagged with directions. Fabric pattern placement may vary slightly from the photo. Shade of solid fleece backing may vary depending on availability.